This is an absolute MUST see. Get there early. The quantity as well as quality of Catalunyan art is fabulous and deeply impactful. Hint: Your ticket includes a trip up to the roof terrace. May I suggest you do that first, before the lines to the small elevator are long. Great views if you do the full roof top tour and don't just take the first exit down again. 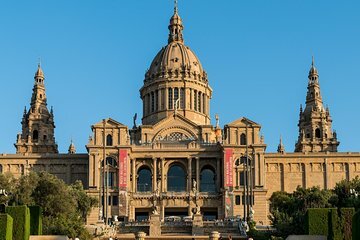 A beautiful place, full of history, art and architecture that can not be missed if you visit Barcelona !!! Stunning views from the top of the building !!! Not much value added to just buying tickets at the desk. You still have to go to the ticket taker, who then refers you to a secondary ticket taker, who then wanted us to write down our email to send the electronic vouncher to, slower than just paying cash at the window. The Museum, however, and environs, are very nice. Tickets not necessarily required. If you research, you can go for No Charge after a certain time of Day. Very enjoyable visit to the gallery although menu prices at the restaurant are a bit much! The grounds that the museum sits on is far more impressive than the art inside, in my opinion. Voucher must be exchanged. Someone was at the front to direct people and answer questions. Seniors get in free. It was nice to see inside.